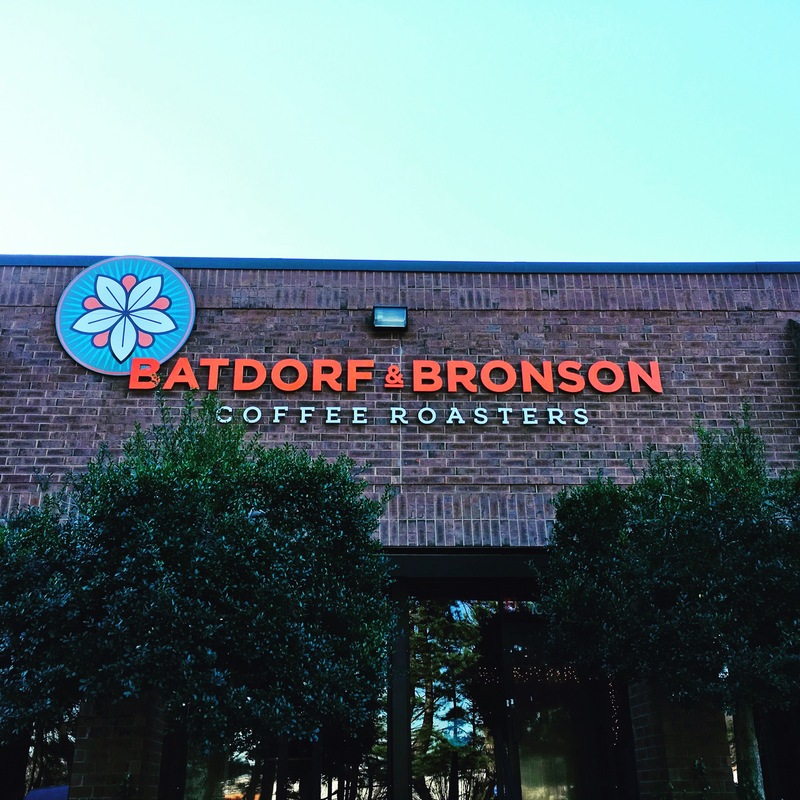 Staying awake will never really be an issue when you take the Batdorf & Bronson Roastery Tour. Why? For many reasons. One, they have the best tour guide around. His name is Ren and he’s awesome! Which leads us to the second reason why staying awake will not be an issue. 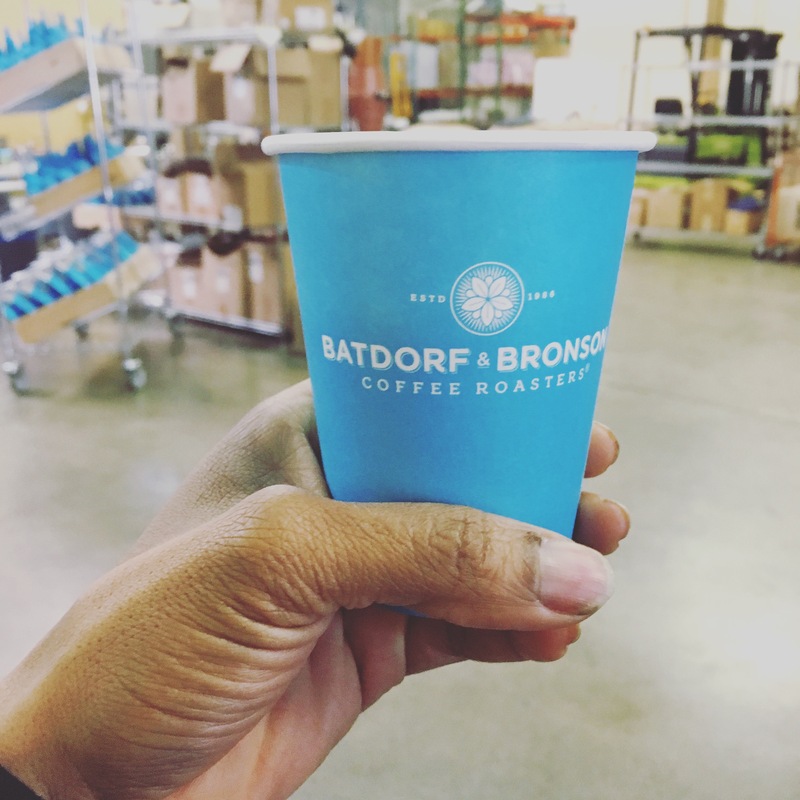 Ren will make sure your cup is full with delicious Bardorf & Bronson coffee throughout the entire tour. High five Ren! Third, it is just amazing to watch all these coffee beans being prepared by hand. Hot cup of coffee to start this awesome tour. 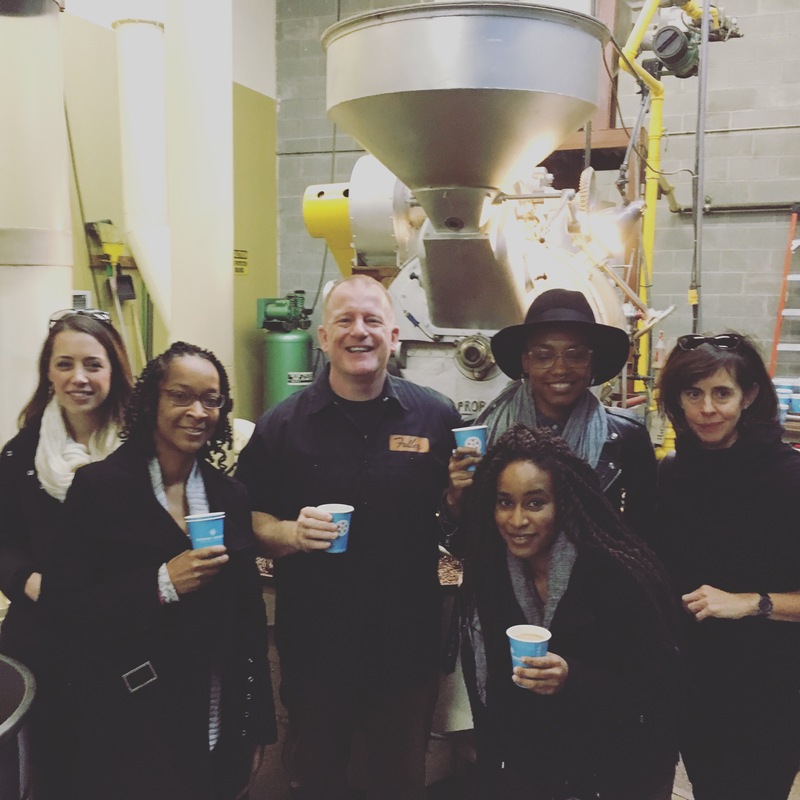 So earlier this week I read a post on Instagram by blogger, Morgan Ashley ( @eathereatl ) saying she had received an invite from Bardorf & Bronson to take a tour of their roasting facilities. She wanted to bring a guest with her and asked that followers comment with their email address if they would like to join her. Umm Yes, please! I love Bardorf & Bronson coffee. I had to go, so I commented. A couple days later, I get an email from Morgon to say I was in there! Yes! So Thursday morning, very excitedly, I headed to the roastery. We started tour with a cup of hot coffee. It was delicious as I knew it would be. Ren told us that the first person who arrives in the morning makes the first pot of coffee and starts running the reports. They chose the coffee, so every morning there is a mystery pot of coffee. The person who gets the last of that pot of coffee, has to make another pot, of their choice. Yet another mystery pot of coffee. Morgon and Ren discussing their prefrences in how their coffee is prepared. Morgan prefers her with cream and sugar, while Ren prefers his black. With coffee in hand, we headed back to the lounge to talk a bit. First, we took turns telling the group what our first memories of coffee was. I remember growing up and my parents having a cup of coffee first thing every morning. Even now, when my parents visit me, every morning my Dad gets up and goes to get coffee. I used to think coffee tasted like dirt. I thought it was real gross. I was a tea drinker. It wasn’t till about 5 years ago that I tried it again and became a fan. I enjoy lattes a lot, but I do like my coffee black with a little honey as well. When you start to notice the differences in quality of all the many coffee shops, you become picky. You are now a coffee snob. It’s not a bad thing, you are just are aware of who serves a good quality cup of coffee. Which is why I love Bartorf & Bronson. The coffee is great! Next, Ren took us into the roastery. He showed us were the sacks were delivered and stored. 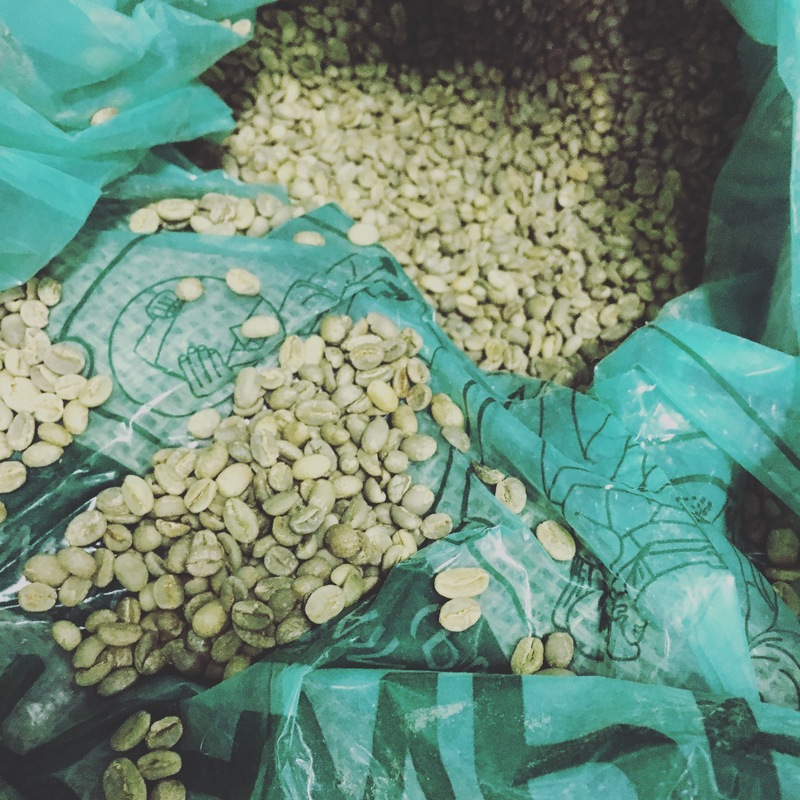 There were stacks and stacks of sacks of green coffee beans waiting to be roasted. Coffee beans are the seeds of a coffee plant. It is the pit inside a red or purple fruit usually referred to as a cherry. Coffee plants grow in the mountainous regions between the tropics of Cancer and Capricorn. A coffee plant reaches its full maturity at five years. Then they are ready to be harvested and processed. After several more stages, they travel to Batorf & Bronson to be roasted. 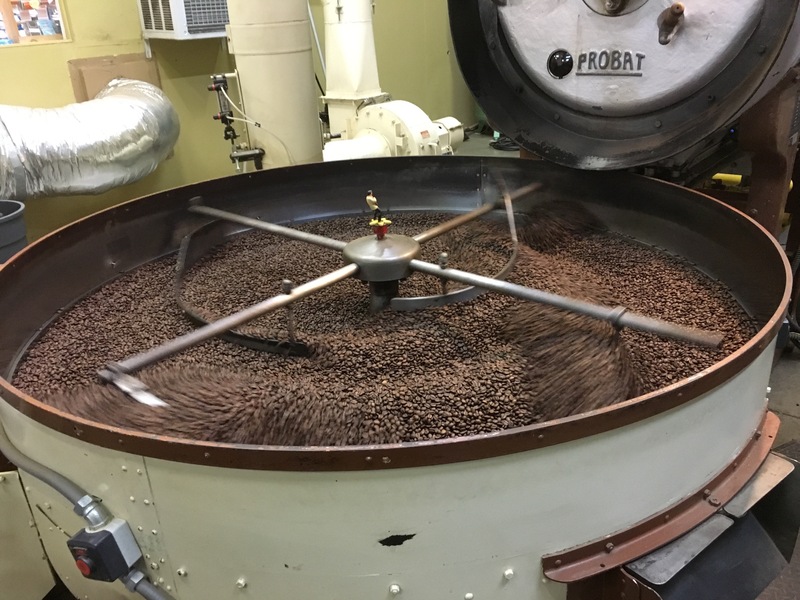 Beans are roasted as they are ordered to maintain the freshest coffee beans possible. Which is where our friend Alex was busy making sure the coffee beans were being roasted properly. Hi Alex! After the coffee beans are roasted, they cooled off. After the beans are cool, they are then sucked up into another part. The power of the suction is only strong enough to pick up the weight of a bean. Those beans are dumped into a bucket to be weighed. 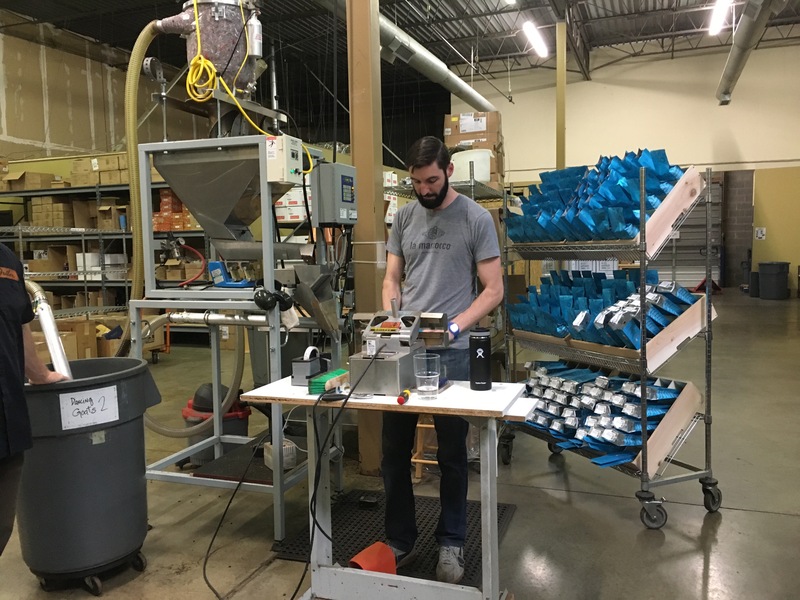 If it’s heavier than a bean, it stays in a metal basket to be sorted by hand. Now they are ready to be filled for orders. What’s interesting is that all the coffee bags are filled individually, by hand. There were only like 5 people there running the operation the whole time. And everyone seemed so chill and relaxed. Seems like a fantastic place to work. 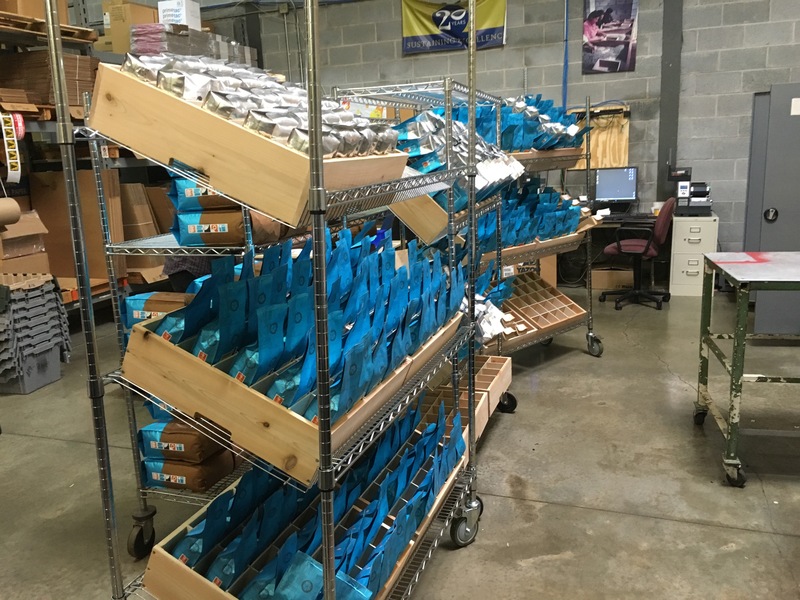 After being packaged, they are then ready to be shipped to various restaurants and coffee shops around Atlanta. 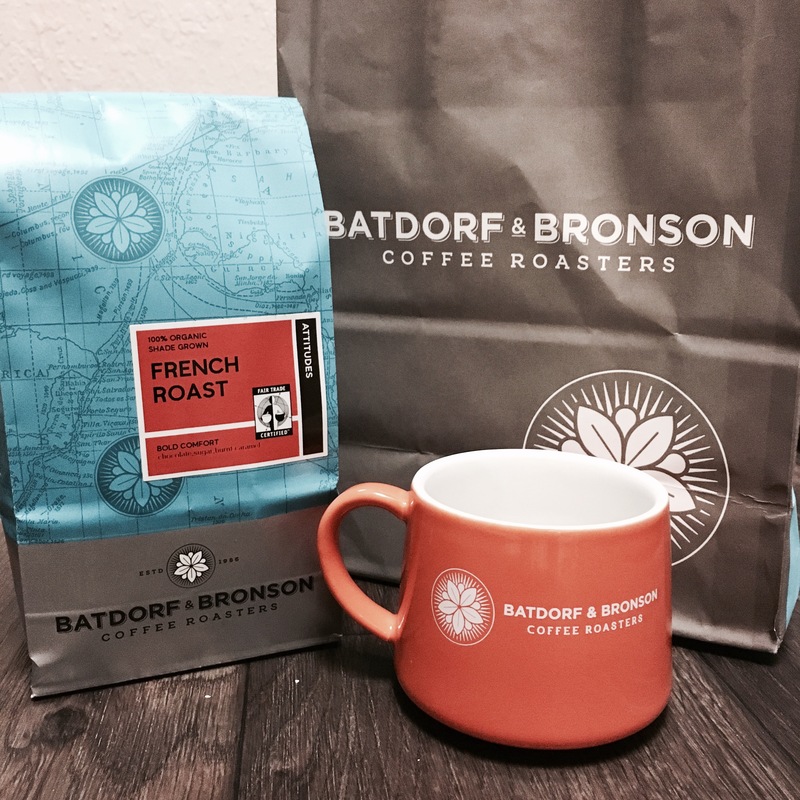 My favorite place yo enjoy a cup of Bardorf & Bronson coffee is at The Dancing Goats Coffee Bar. They have a great outside seating area, perfect for sipping coffee. The last activity on the awesome tour was a French pressed coffee tasting. We all gathered around the lounge table and sampled some Nicarguan and Ethiopian coffee. By the way, I was fully caffeinated and wide awake before this tasting. Ren educated a little further on the methods of preparing and properly tasting your coffee to experience the full flavor. At the end of the tour, everyone was given their choice of coffee and a coffee mug! Nice! I chose the Organic French Roast, one of the selections we enjoyed while on the tour. It’s so good! And it smells oh so delicious! A big thanks goes out to Eat Here Atl for inviting me along with you on the great tour. And much gratitude to Ren and Bardolf & Bronson for a lovely tour and stellar hospitality. I had a most fantastic time! Great meeting you on the tour. It was fun! Likewise! Can’t wait to take some friends back!